With global confluence of different cultures, March 17 is a day not only for the Irish but also of people in many other nations the world over. Whatever your background, it's hard not to feel a little bit Irish on Saint Patrick's Day. 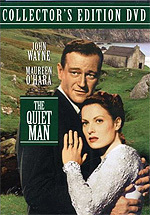 TheHolidaySpot brings you a clutch of some memorable movies to watch on Saint Patrick's Day and have a wonderful time. Not too many films have been specifically made about St. Patrick's Day, but our search has yielded up a handful of movies woven around St. Patrick's Day and the plethora of Irish legends and myths that are a part of the March 17 festivities. Get into the festive mood with these fun movies on St. Patrick's Day. To refer this St. Patrick's Day movie collection to your pals and dear ones, just click here and pass on this article to them. Top 'o the mornin' to you! Plot: Sean Thornton has returned from America to reclaim his homestead and escape his past. Sean's eye is caught by Mary Kate Danaher, a beautiful but poor maiden, and younger sister of ill-tempered "Red" Will Danaher. The riotous relationship that forms between Sean and Mary Kate, punctuated by Will's pugnacious attempts to keep them apart, form the main plot, with Sean's past as the dark undercurrent. Plot: American businessman Jack Woods rents a cottage on the enchanted Emerald Isle which is occupied by a family of leprechauns. 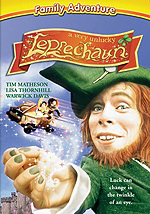 Leprechaun Seamus Muldoon's son and son's friends crash the fairies' costume ball and Muldoon's son falls in love with fairy Princess Jessica. 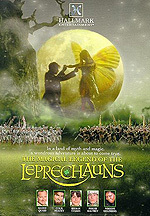 Their love re-ignites a feud between the leprechauns and the fairies, which escalates into a war. The Grand Banshee warns of terrible consequences and Jack Woods is chosen to make peace. Woods interrupts his own romance with an Irish beauty to help, and becomes involved in a strange and wonderful magical adventure. Plot:Marcy is an assistant to Senator John McGlory, who is having problems with a re-election campaign. Desperate for Irish votes, McGlory's chief of staff Nick sends Marcy to Ireland to trace McGlory's relatives or ancestors. Marcy arrives at the village of Ballinagra when it is preparing for an annual Matchmaking Festival. A well-dressed, handsome and single young lady, she becomes the center of attention for two professional matchmakers, Dermot and Millie, as well as for bartender Sean. Plot: A pretty unexciting story about an American father and daughter who move into an inherited house in Ireland. Problems are abound as the home is inhabited by an unlucky leprechaun, Lucky. Things are going bad from the start. They find out that $13,000 is owed on the house and they are likely to lose it...Molly is having problems at school. I bet without even seeing it, you can imagine how this one turns out. It's not awful, but I think most will find it a little hard to sit through. Save this one for the wee-est in the clan, as they might be well enough amused. Starring: Piper Laurie, Joanne Baron, Jim Metzler, Redmond Gleeson, Bob Evan Collins, Martin Cassidy and others. Plot: Mary Pat Donnely McDonough (Piper Laurie), the matriarch of a large Irish-American family, invites many of her family members to attend her weekend-long party and reunion to celebrate St. Patrick's Day. But the guests are in for a shock when their host not only announces to them her decision of giving up alcohol but also informs them her resolve to disallow anyone to drink in her home. With no drinks for the next two days, a number of secrets tumble out of the closet of the nearly two-dozen guests on hand. The family servant Thomas (Redmond M. Gleason) decides to proclaim his love for Mary; Priss (Joanne Baron), Mary's daughter, announces her decision to dump her spouse for a much younger man; a pair of distant cousins decide a roll in the clover is in order; and teenaged Cassie (Colleen Fitzpatrick, who has now grown up to be a successful pop singer under the name Vitamin C) has a great time capturing the most embarrassing moments of almost everyone on videotape. This funny comedy about an unusual family gathering was well appreciated and great to watch on 3/17. Starring: Albert Sharpe, Janet Munro, Sean Connery, Jimmy O'Dea, Kieron Moore, Estelle Winwood and others. Plot: Darby O'Gill (Albert Sharpe) is a frisky old storyteller who spins tall tales of leprechauns and banshees. Then one day, myth and reality collide for him when he actually captures the monarch of the leprechauns named King Brian. True to legend, the leprechaun grants him three wishes but when all the wishes begin to backfire in amusing, and sometimes frightening ways Darby realizes that he is up against a shrewd little trickster. He understands that to get to the hidden gold of the leprechauns, he must be very careful of what he wishes for - which proves no small task indeed! 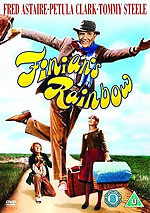 This classic Irish flick has a young and dashing 29 year old Sean Connery in his first and last singing role. Starring: Jeni Courtney, Pat Slowey, Dave Duffy, Declan Hannigan, Mairead Ni Ghallchoir and others. 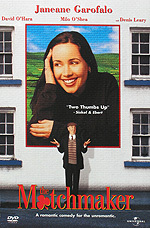 Plot: Ten year old Fiona is sent to live with her grandparents in a small fishing village in Donegal, Ireland. The little girl soon learns of the local legend that an ancestor of hers married a Selkie - a seal who can turn into a human. Years ago, Fiona's baby brother washed out to sea in a boat-shaped cradle and one of her family members believe that the boy is being raised by the seals. Then Fiona catches sight of a naked little boy on the abandoned Isle of Roan Inish. Is the boy her long lost brother? In her quest, Fiona uncovers the astonishing secret of Roan Inish. With powerful music and a gripping storyline and direction, this is a mystical movie that you would love to watch over and over again. Starring: Tyrone Power, Anne Baxter, Cecil Kellaway, Lee J. Cobb, James Todd, Jayne Meadows and others. Plot: Steven Fitzgerald(Tyrone Power) is a newspaper reporter who works with an influential publisher turned politician, Augur (Lee J. Cobb) because of the money and prestige. Jayne Meadows plays Augur's elegant and glamorous daughter who is in love with Steven. While in Ireland, Steven comes across a beautiful young woman named Nora and a leprechaun with the proverbial pot o' gold. Steven is instantly attracted to Nora. He returns the gold and returns to New York. Eager to repay his debt, the leprechaun traces Steven back to America and appears as his servant, under the assumed name of Horace. With the leprechaun by his side, Steven finds strange things happening around him. This charming film effortlessly draws you into its whimsical story and is a must watch on St. Patrick's Day. Starring: Ian Bannen, David Kelly, Fionnula Flanagan, Susan Lynch, James Nesbitt, Paul Vaughan and others. Plot: Jackie O'Shea(Ian Bannen) is a resident of the tiny Irish coastal village of Tully Moor. When he discovers that someone in their tiny Irish village has won the national lottery, they go to great lengths to find the winner so they can share the wealth. After some effort, Jackie figures out that the lucky winner is none other than his new best friend Ned Devine. Fortunately for him, he finds out Ned has died of shock upon discovering that the prize money he won was a total of 6.9 million Irish pounds. So Jackie and his real best friend David Kelly(Michael O'Sullivan) devise a scheme to pretend that Ned is still alive by having another man pose as him, and then collect the lottery money and share it between them. But is it easy to keep a dead man alive before the world? Watch this greatly amusing film and find out! An appropriate fun movie to catch on a festive afternoon with friends and family.